Mr. Scott Childress has been training in martial arts for over 25 years and been teaching martial arts for over 10 years. He is currently a 1st Degree Black Belt in Tae Kwon Do (ITF) and continuing to train under his Master Instructor Jeremy Kempka (7th Degree Black Belt) in Charlotte, NC. Children Class: Ages 5 to 10-6:45 p.m. to 7:30 p.m. Adult's and Teen's Class: Ages 11 and up - 7:30 p.m. to 9:00 p.m.
Would you like more information on hours, classes and programs available at The Southwest Virginia Martial Arts Academy? Please contact the school with your questions. Update the details, Write a Review or Report Error of The Southwest Virginia Martial Arts Academy. View all Dojo in Richlands or in Zip code 24641. This Chart shows the Martial Arts Styles offered most in Richlands, Virginia area. 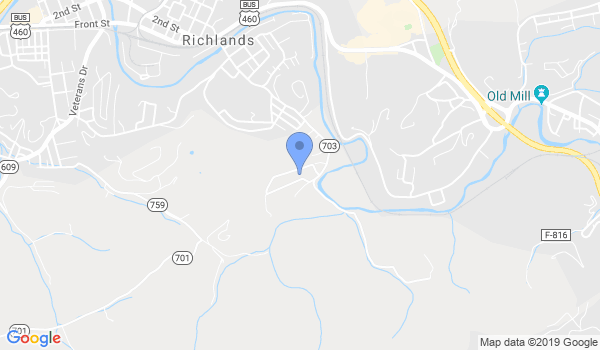 View a list of Dojo in Richlands, or enter your address below to find schools closest to you.